The planned vote on the regulation at a Plenary session of the EU Parliament has now moved from the proposed date in April to the 3rd July 2012. As we mentioned previously there are negotiations taking place known as trilogues. These informal meetings are attended by representatives of the European Parliament (MEPS known as Rapporteurs and where appropriate, Shadow Rapporteurs), the Council (chair of the working party and/or Coreper – representatives of the governments of the Member States), and the Commission (the 3 European institutions) in order to converge their positions. The reason for moving the Plenary session date we are told, is twofold. 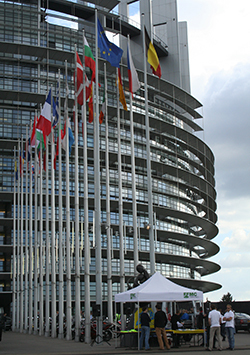 The European Parliament has provided more time to the Council (Council of the European Union – sometimes still referred to as the Council of Ministers) to finalise its common position and to negotiate the controversial issues and the trilogue meetings are still on-going to finalise the technical complexities of the regulation. The European Parliament published amendments to the European Commission’s proposal as voted on by the Internal Market and Consumer Protection (IMCO) committee in December 2011. It may be like watching paint dry, but the outcome to these trilogue meetings is crucial in order to reach an agreement so that the vote can take place in the Plenary (European Parliament) in July. It’s worse than deja vu, it’s a recurring nightmare! 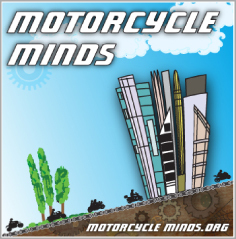 Here we are at the late stages of the processes and procedures for the EU Motorcycle Proposal and motorcyclists are still getting it wrong. What is even more mind boggling, is that there is a planned protest ride to take place in May in London, ending at Westminster. 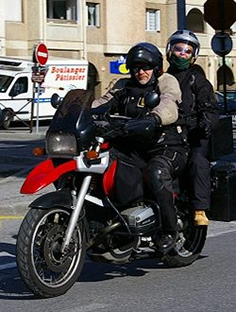 This protest ride says, “We are planning a motorcycle ride out protest against the proposed EU motorcycle legislation”. Unfortunately the basis of this information seems to have been taken from a petition to 10 Downing Street. Try as we may, the Harbingers of Doom appear to be winning the day, because none of the above is in any proposed European motorcycle legislation. Those that have pedalled this information to stoke up fear, have a lot to answer for.